Thanks to the great technological advance that the development of electronic devices focused on the management of digital documents is experiencing, it is becoming increasingly common to find specific applications that have been created for this sole purpose. A clear example of the latter is FBReader, a free software application with which you will be able to read your eBooks and keep them ordered in the library that it integrates. - Functional interface that is accessible in two different modes: reading or library. - Possibility to order the books by author or tag. - Support for files in CHM, ePub, FB2, Plucker, RTF,... format, even if they are within a compressed ZIP files. - Search for books on the web. 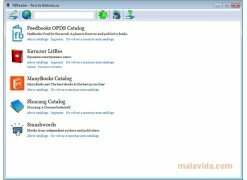 - Book catalog management, with the possibility to add and organize your documents. 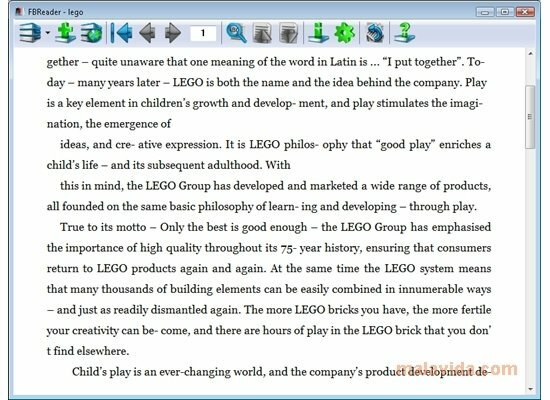 - Practical reading functions like, for example: Go to start of a book, previous or following page, text searches, etc. 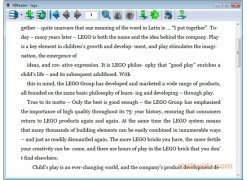 All in all, FBReader is a very practical eBook reader.